WE ARE EXTREMELY BUSY DUE TO THE RECENT STORMS - AND WE HAVE MORE WORK THAN WE CAN HANDLE AT THE MOMENT! Hopefully it's not raining through your ceiling. If it is, stop reading and just call us now. But if it's not such an urgent issue, read on to see why we are the top roofing contractors in Goodyear AZ today. Serving the Valley since 1985, Gary and Son Roofing has seen it all. One thing is for certain--there is no one better experienced, and more equipped to handle your roofing needs, no matter what material it's made of, or what might be up there. Out here in Arizona, we see mostly tiles up there. It's some of the longest lasting material available, and it's great in the Phoenix sun. It is, however, easily broken. We can color and style match anything, so whether you just need a few cracked tiles replaced, or you need a complete roof replacement and you have a specific design in mind, give Gary and Son a call today. We can handle anything. Maybe you've got a new build, and you need a reputable company to put the cherry on top of that new house. Good news, we are ready for that also. With our vast experience here in Arizona, we've laid more roofs than you can imagine. And we've learned all the tricks of the trade along the way. We know just what you need to be certain that you and your family are protected from the elements, and all our work is guaranteed. Once every two years, it's a good idea to have a roof inspection done. This small expense can save you thousands in the long run, but it's something most homeowners never consider until it's too late. Now you may thing that changing out the top of your house is an expense that will make you cringe. Not always. First we come out and provide professional, honest, and affordable roof inspection service in a timely manner, and with a complete overview of it's condition and any troublesome areas we detect. You may need just a few tiles replaced, you may need a new roof, you may not need anything done! Whatever it is, you can trust us to always be fair and honest with you. We also do roof fascia repair and replacement, so if you're wooden eaves are dry rotted or damaged from years of water and weather that was never supposed to hit them, we can take out the old and put in the new, no problem. It's our interest to have your best interest in mind. We are in the business of creating life-long customers, not gouging hard-working people's life savings after an unforeseen event. How else do you think we've been around since the mid-80's, with the reputation we have for all-around quality? A family-owned business that takes pride in our work, and excellent customer service, we don't stop short when your expectations are on the line. If you've got an issue with your roof, don't wait. Let the best in the Valley get the job done right. After 30 years in the roofing business, we have a good idea about what you want out of your local company. Honesty, integrity, and service you can rely on. At Gary and Son Roofing, our #1 priority, is YOU. Check out some of our recent work below. If you've got cracks anywhere in your tile roof, you know it's time to get a small problem fixed before it becomes a big one. Our commitment to you is to always be honest when we inspect your roof for need of repair. ​We've been doing this for over 30 years and our stellar reputation to the Valley is due to how we have chosen to serve you, the customer, first and foremost. We make sure to always shoot straight with you, so you know you're getting a fair deal on your roof repair work. If you get rained on while inside your house, it's a fair assumption that your roof has an issue of some sort. Which is why you're here--to get that taken care of. You want a roof leak repair company that will go above and beyond to make sure your stuff stays dry, and you stay cool-tempered. We take every measure to complete a proper and professional roof inspection, informing you of our findings in the most thorough manner possible. It's our sincere hope that you don't have a leak so advanced, that it requires a new roof altogether. The decision to replace versus repair, can be a big one. We want to help you make the best possible decision, and one that will have the smallest impact on you financially, for the foreseeable future. A simple crack in a roof tile can be the beginning of a much larger issue. You guessed it, a complete re-roof. Paying out 5 figures to get a new top on that house--not what you had in mind right before Christmas. Let the best roof repair company in Phoenix replace those tiles with brand new ones. First, we'll check to make sure the underlayment is still in good condition. If it's not, we replace that first, and then put your tiles back so clean, you'll never know they were up. We've got every color and style imaginable so matching your existing structure is never an issue. We'll get you taken care of. Total roof replacement is a major job. It's one that we only recommend as a last resort, if it would be a better financial decision for you, based on the overall condition of your roof and how many years it looks like it has left in it. Some people opt for a complete re-roofing to be done for aesthetic reasons. If you want to change the look of your house's overall appeal, a brand new top will certainly do the job. A thorough inspection and proper detection of faulty areas will always be completed, and shared with you, before we ever suggest removal of your old roof, and installation of a brand new one. You can rest easy knowing that we are out for your best interest. Some companies may not be, but we most certainly prefer the honest approach. The better question is, what can't we do? Most people get in touch with us when they need roof: ideas, estimates, consultations, inspection, installation, repair, replacement, recovering, resurfacing, removal, restoration, redesign, drains, ventilation, underlayment, tiles, shingles, foam, metal, eave replacement, windows (skylights)... and to get costs and quotes for these services. What cities do you do work in? We like to stick to the West Valley for the most part, so Phoenix, AZ, and also: Goodyear, Buckeye, Avondale, Litchfield Park, Glendale, Waddell, Peoria, Surprise, Sun City, Sun City West, Youngtown, El Mirage, Laveen, Tolleson, and Tonopah. What types of material options are there? Because we are so well versed in all things roofing, we've got an endless list of options for you when it comes to material selection. Tile is the most common material we have in Arizona, and we can match color and style, no problem. We also do shingles, cold asphalt and modified bitumen. What kind of cost am I looking at? 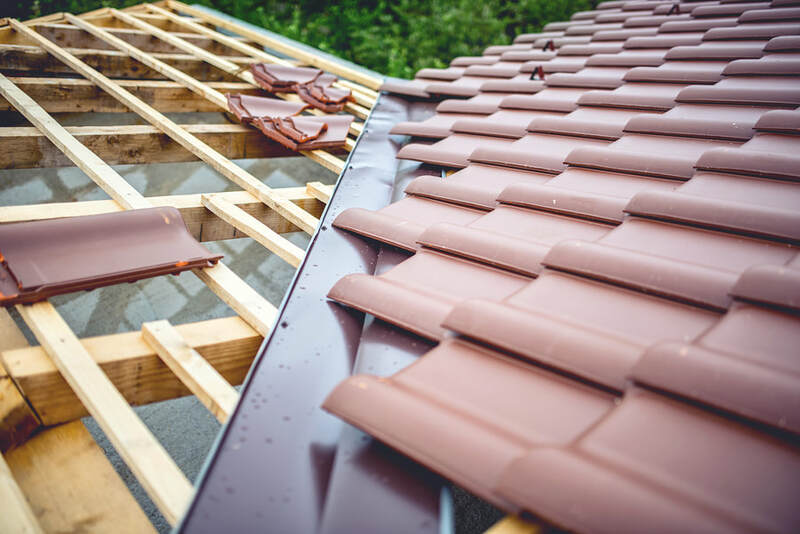 Obviously that can vary wildly depending on whether you need a few cracked tiles to be replaced, or you need a complete re-roofing. One thing for sure-- we are fair and honest. We do everything in our power to give you the best possible price, for the service that you need. We aren't going to tell you that you need a new roof when you can get 10 more years out of it by just replacing the damaged areas. The best thing we can do is give an honest assessment of your issues, and let you make a decision from there. Your home is your biggest investment, and we want to help you protect it. Because we offer free estimates, you can rest assured that you'll get a professional with decades of experience and all the color samples you could dream of to educate you on the problems (or lack of) at hand. Give us a call today at 623-300-1033 to schedule a free quote. We'll be honest and upfront about cost, and we'll give you our friendly opinion on what we think your home truly needs. We do, but it's on a job by job basis. We have no idea what's up there, and what problems we might run into, until we climb up the ladder and get a look for ourselves. After a thorough evaluation, we'll be able to provide you with a detailed estimate, and at that point we may be able to offer a warranty or guarantee, depending on the type of service you require, and the work entailed. Give us a shout at 623-300-1033. If it's late at night, and you'd rather shoot us an email, you can contact us here, and we'll get back to you as soon as we can. We value your time, and appreciate your business. Working with us you can be sure you've hired the best roofing company in Goodyear, AZ.